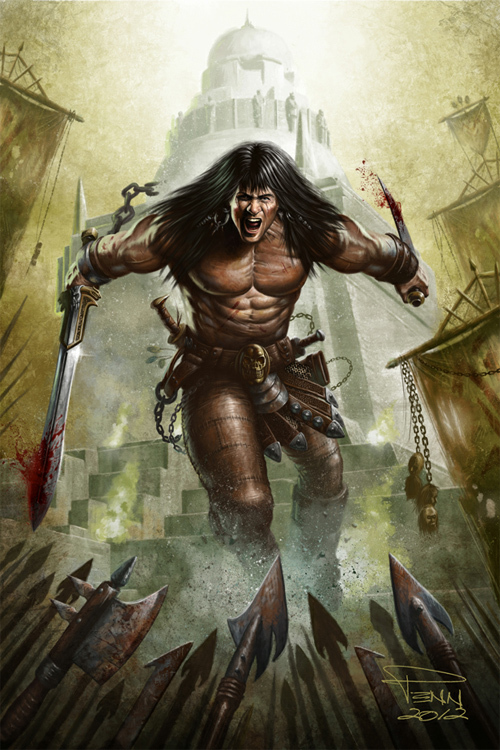 A fictional sword and sorcery hero that originated in pulp fiction magazine is Conan the Cimmerian, also known as Conan the Barbarian. 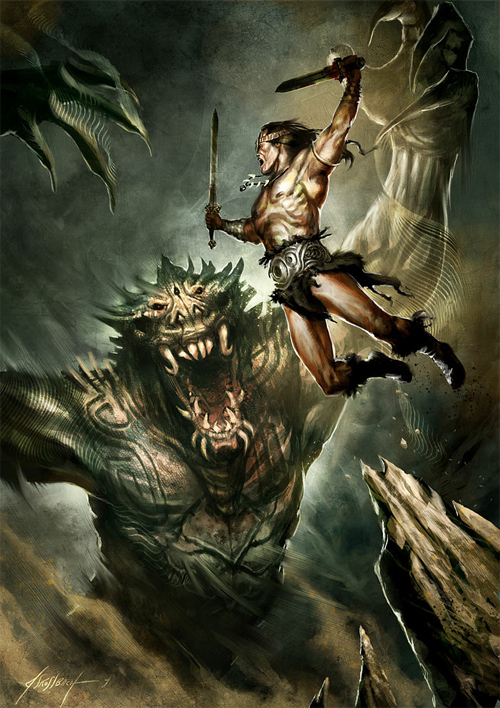 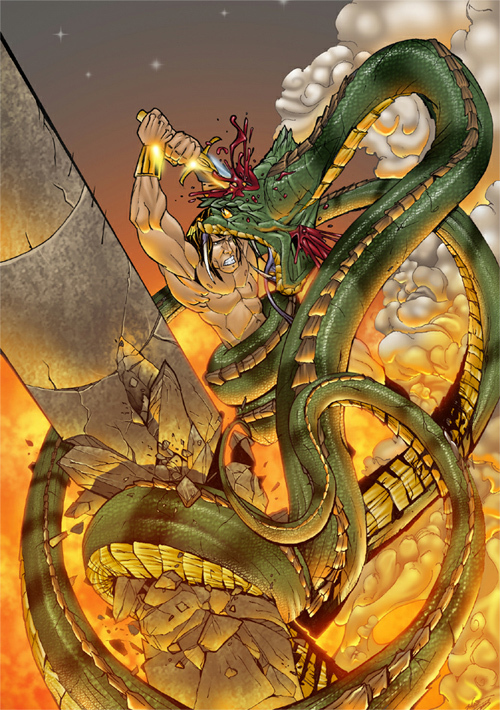 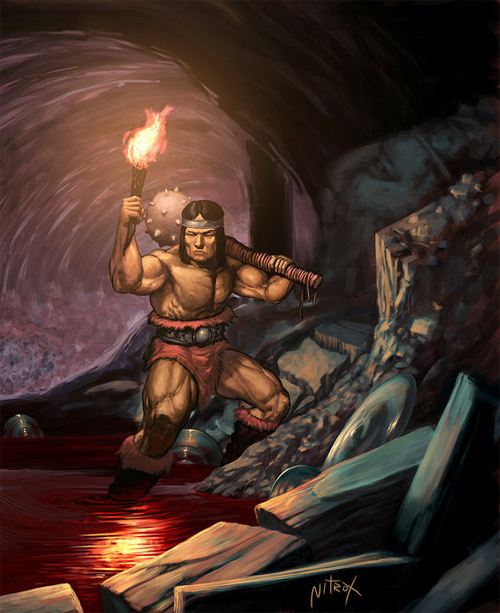 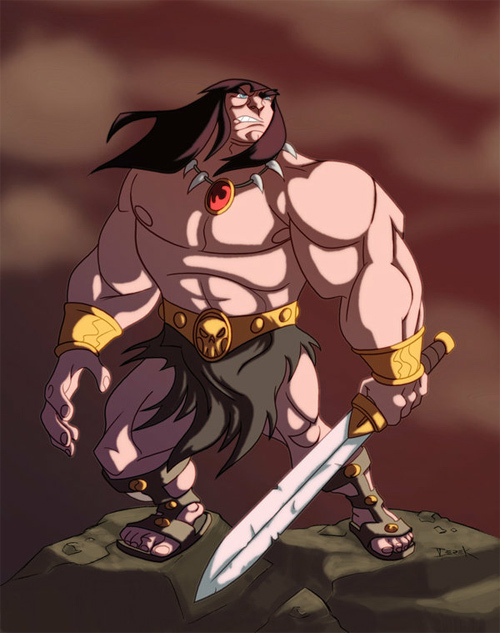 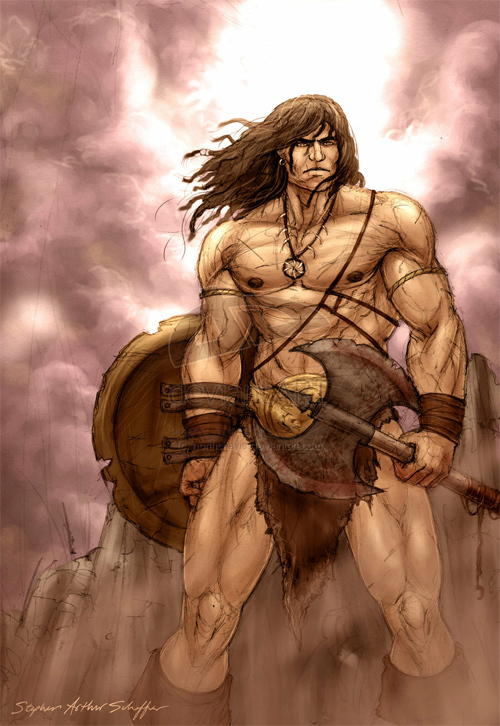 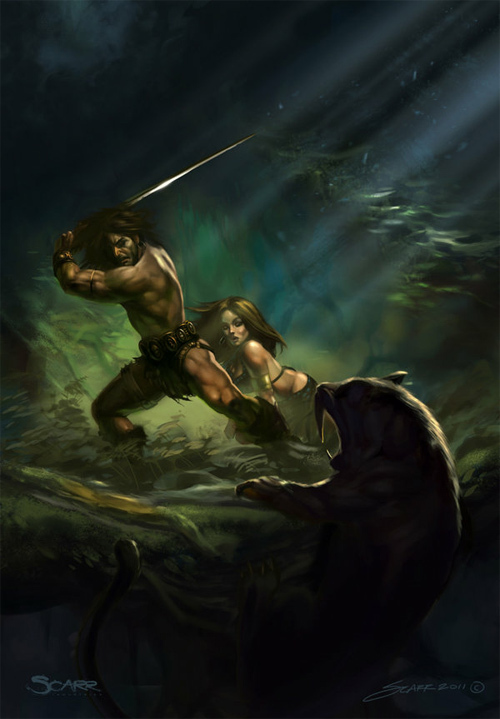 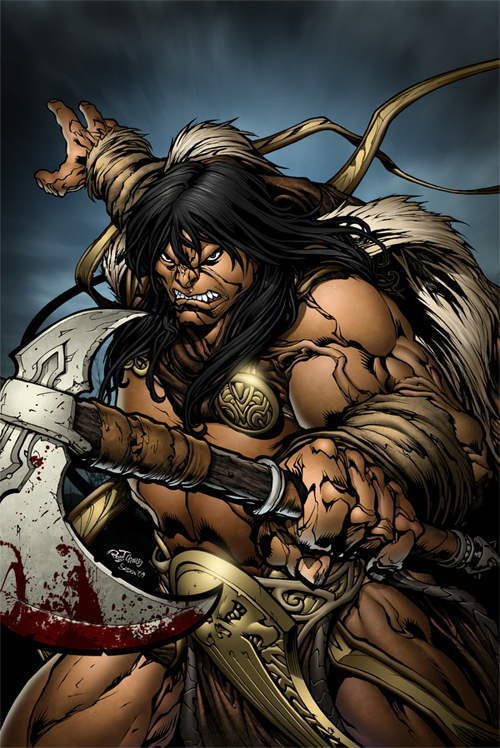 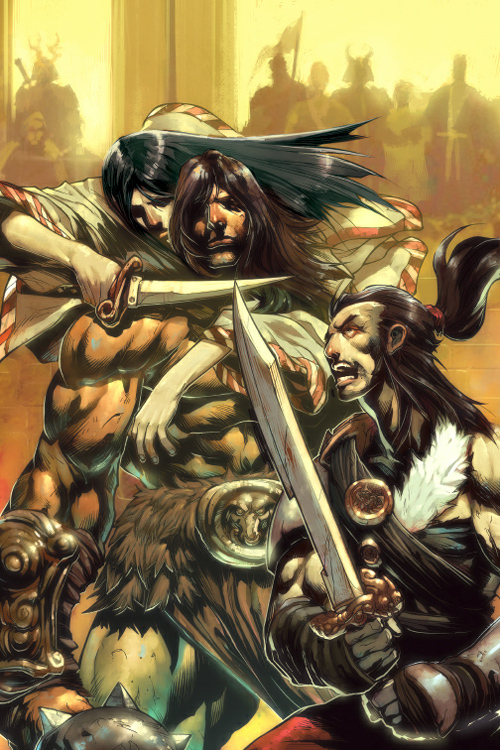 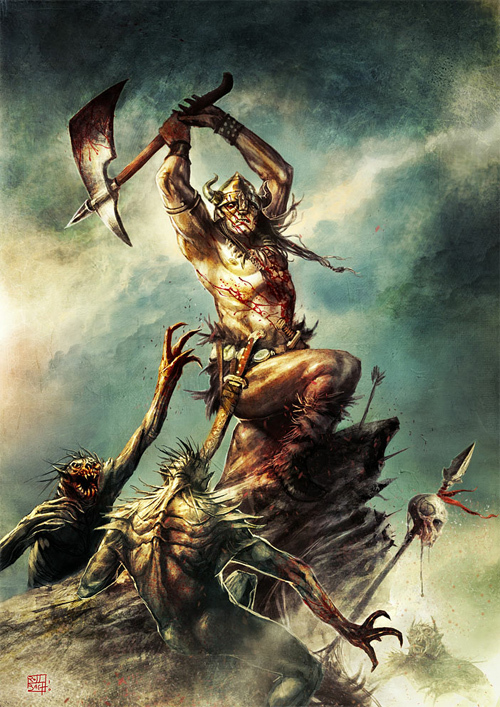 The various stories of Conan the Barbarian occur in the fictional “Hyborian Age”, set after the destruction of Atlantis and before the rise of the known ancient civilizations. 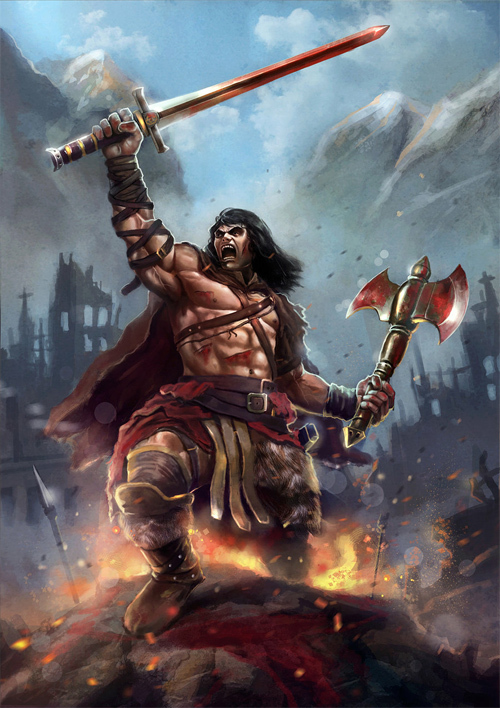 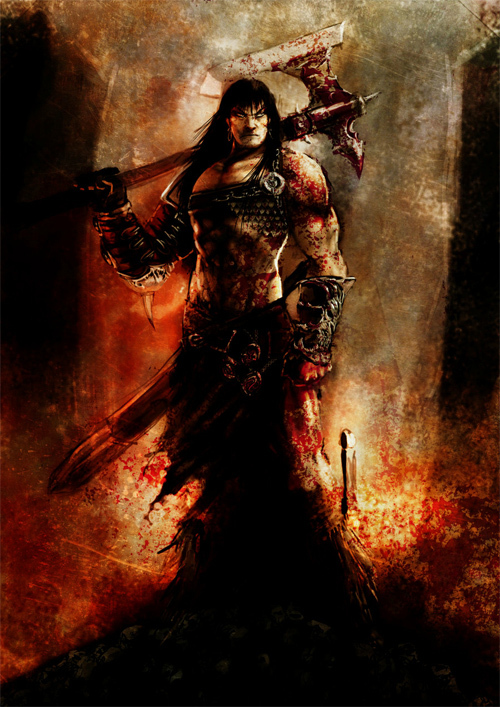 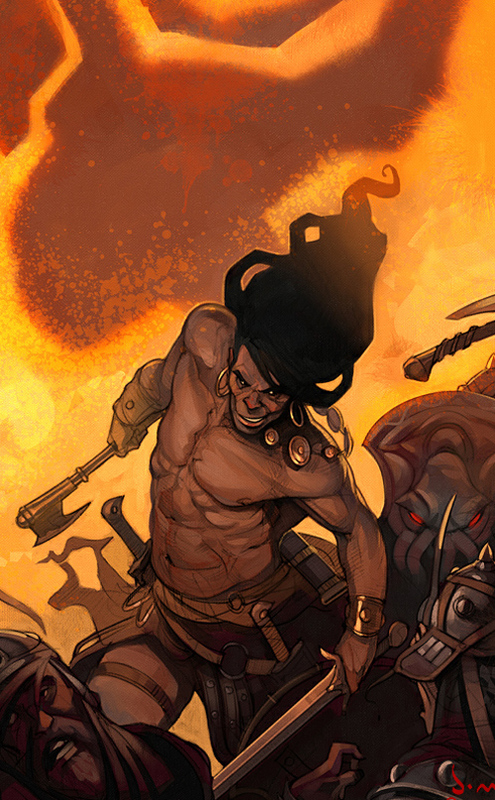 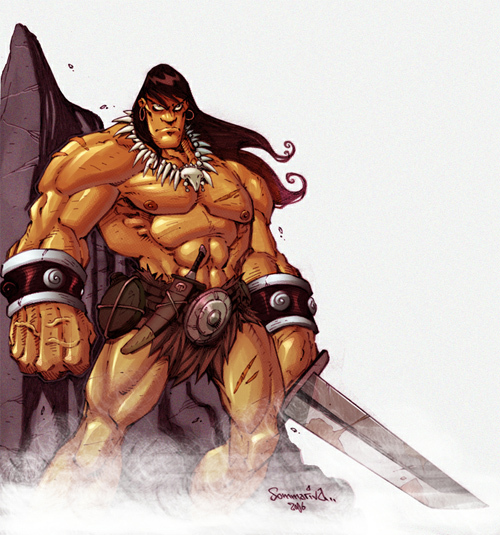 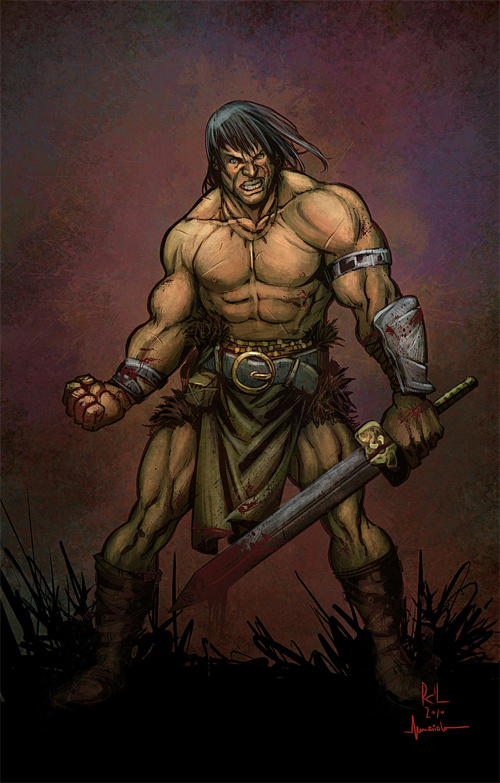 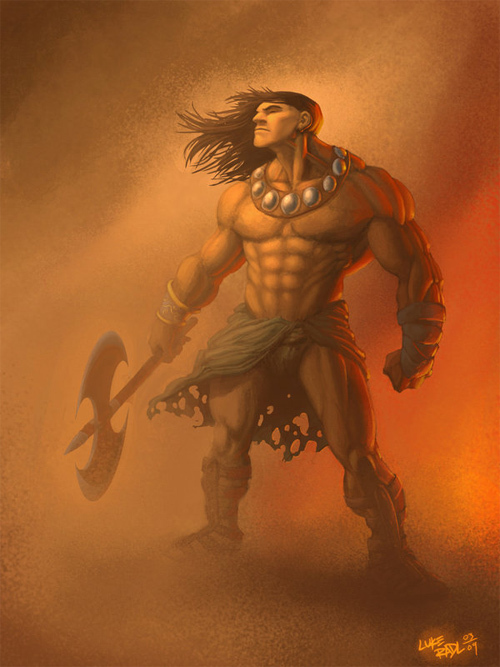 Conan was born on a battlefield and is the son of a village blacksmith. 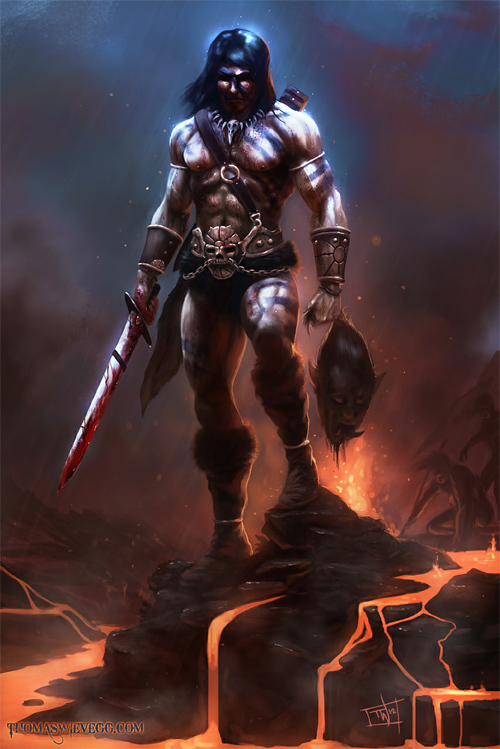 He matured quickly as a youth and was already a respected warrior due to his participation in the destruction of the Aquilonian outpost of Venarium. 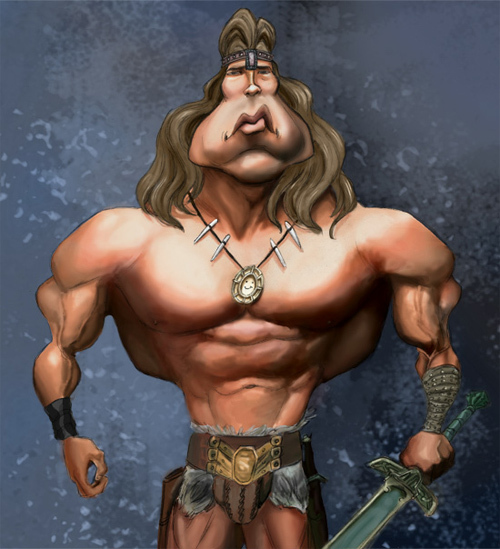 Despite his brutish appearance, Conan uses his brains as well as his brawn. 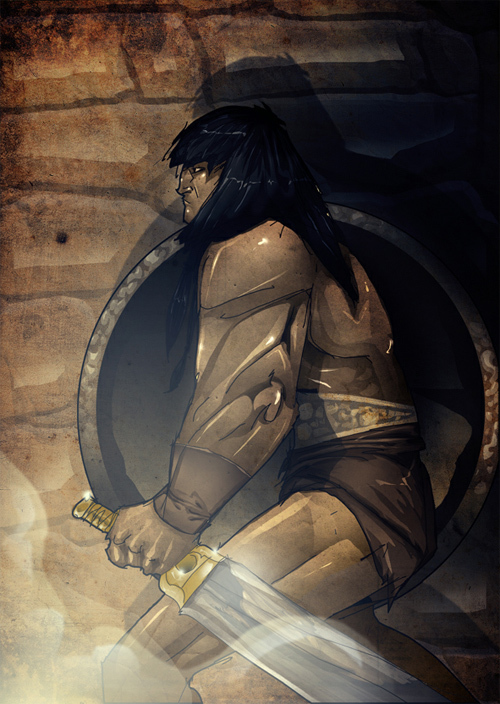 Our next post showcases 26 Conan the Barbarian Artworks that tells an incredible story through the various illustrations alone. 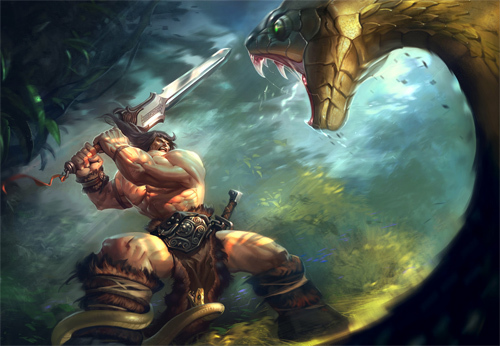 Check out these amazing artworks and be prepared to be inspired in creating your own masterpieces. 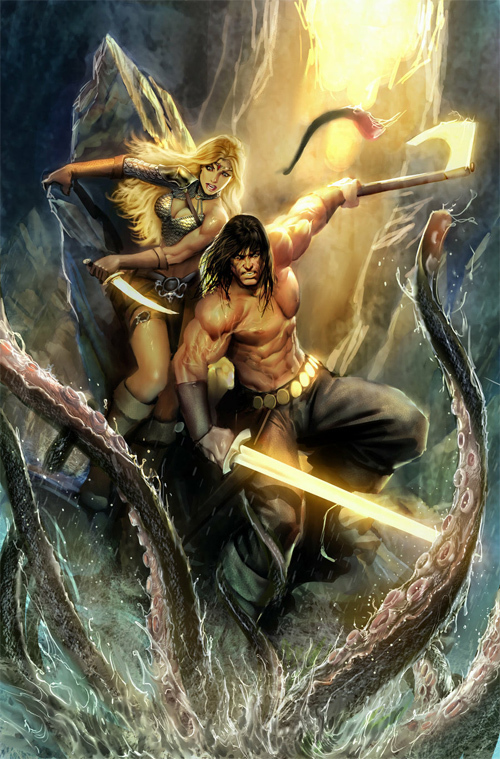 The character’s adventures has been adapted to books, comics, several films, television programs, videogames and other media because of its popularity. 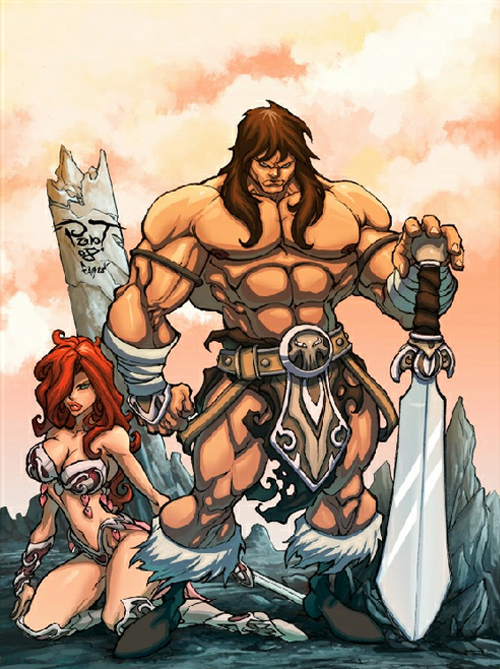 Nice collection, very creative art works! 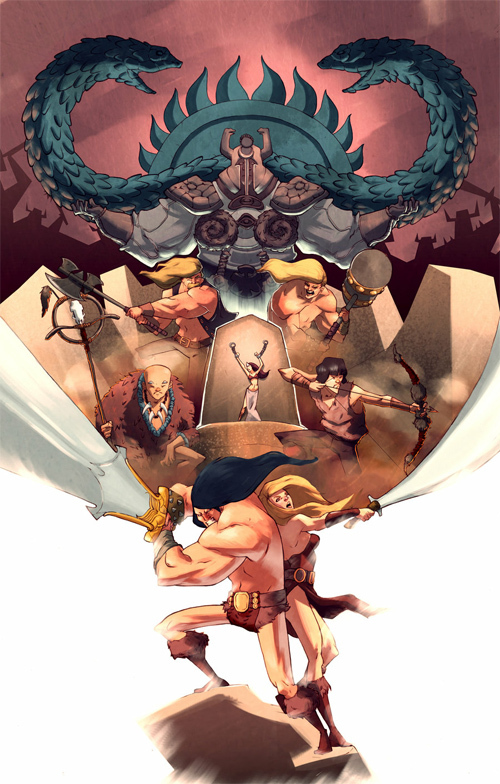 Nice variations of illustration style, beautiful!